The end of Elon Musk’s go-private-or-not saga with Tesla leaves investors back where the drama began: waiting to see if he can make more Model 3 sedans. Production of the all-important Model 3 electric car may have exceeded 6 000 units a week this month, according to Bloomberg’s tracker. 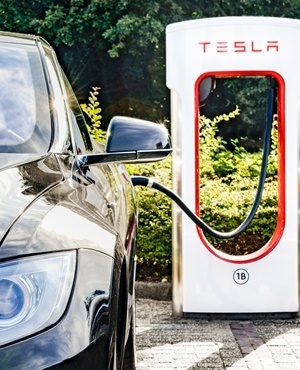 The tool uses Tesla-registered and owner-reported vehicle identification numbers to estimate output in real time and can fluctuate from week to week. Still, the model suggests the company may have been consistently manufacturing more than 5 000 Model 3s a week while Musk briefly explored going private. Musk faces huge pressure to show progress with the Model 3 after his 17-day dalliance with buying out some shareholders drew regulatory scrutiny and investor lawsuits. Tesla forecast at the beginning of the month that output of the first car that the company has tried to mass-manufacture would exceed 6 000 a week by late August. Ramping up production to those levels would be pivotal to generating the profit and cash flow the mercurial chief executive officer has projected for this quarter and would ease concern about his leadership. “This was a big distraction over the past two weeks for all stakeholders, and now it’s time to make cars, deliver cars that make people happy, build a good product, and generate some cash flow,” Ben Kallo, an analyst at Robert W. Baird & Company, said Monday on Bloomberg Television. He rates Tesla the equivalent of a buy with a $411 price target. Tesla has been on a volatile run since Musk sent shares soaring on August 7 by tweeting that he was considering taking the company private at $420.